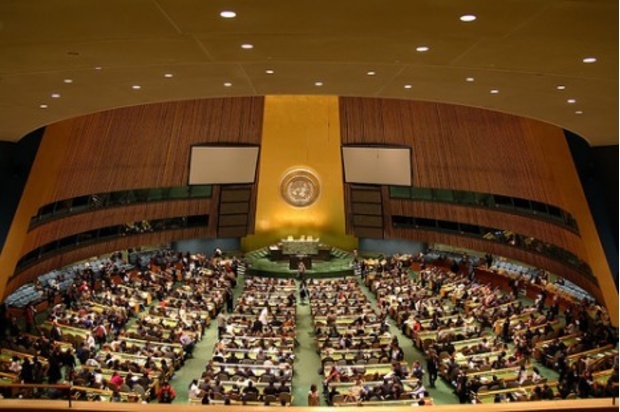 On 26th June 2012, the United Nations (UN) General Assembly held an 'informal' debate on Drugs and Crime as a Threat to Development. The debate was moderated by Yuri Fedotov, and the UN Secretary General gave an (unfortunately very bland) opening speech. As is to be expected with events dominated by diplomatic niceties, there was very little real debate and a lot of hollow prepared statements from member states, as we have become accustomed to at CND. That said, there were a few meaningful interventions, and we could observe a continuing trend of normalisation of references to decriminalisation, legalisation, and drug policy reform. The German delegation also called for a strong focus on long-term strategies of sustainable development. Many delegations emphasised the importance of civil society, which of course didn't change the fact that NGO statements were relegated to the last few minutes of the day, which limited the number of such statements because of time constraints. The Guatemalan Minister of Foreign Affairs gave a robust argument in favour of his country's call for fundamental review of drug strategies, the US repeated its CND call to focus more on treatment than punishment, and the Luxembourg Ambassador stated that the UN should be giving serious consideration to the recommendations of the Global Commission, and asked the panel for their views. The Chairman of INCB, Raymond Yans, in response gave a garbled explanation of his reasons for opposing legal reform, in a few short minutes contradicting himself repeatedly ('this is a matter for member states, but here is the INCB's position'), and aiming a dig at Uruguay for weakening the international consensus, thereby breaking the convention of not criticising individual countries. IDPC gave an NGO statement that called on the UN to lead the debate on reform, and to give a greater role to the health, development and human rights agencies. We also ran a side event on the previous day, organised in conjunction with the Guatemalan Mission, and with presentations from their foreign Minister Harold Caballeros, UNDP Latin America Director Heraldo Munoz, and Coletta Youngers of WOLA. We laid out the case for reform to an audience of 80 participants from New York missions and UN offices. This debate will not have any direct result, but it is a good sign that the wider United Nations structures are discussing the drug policy issue beyond Vienna, and we took the opportunity to distribute our papers and key messages to a broad new audience.